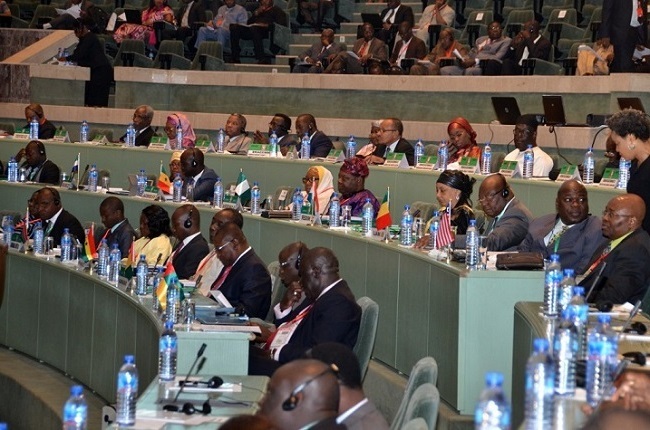 The 75th Ordinary Session of the ECOWAS Council of Ministers kicked-off Sunday, 13th December 2015 in the Nigerian capital of Abuja; writes Nat Bayjay. The Council of Ministers, holding from the 13th to the 14th of December, begins a week-long activity leading to the 48th Ordinary Session of the Authority of ECOWAS Heads of State and Government which holds on the 16th of December, 2015. Prior to that, the Mediation and Security Council at Ministerial level will take place on the 15th of December. Also, the 40th Anniversary of the Community climaxes the summit on the 17th of December, 2015. Acting Foreign Minister Elias B. Shoniyin, leads the Liberian delegation which also comprises of the Deputy Finance Minister for Administration, Edward M. Eesiah, the Deputy Defense Minister for Operations, Jerome Larbelee and the Head of ECOWAS National Office in Liberia, Benedict D. Roberts. 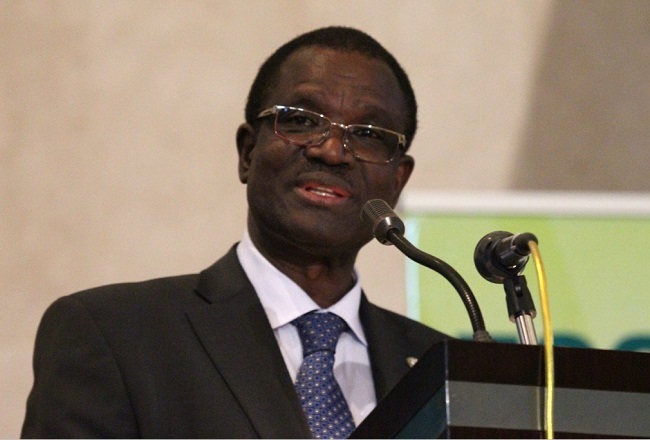 During Sunday’s opening session, the President of the ECOWAS Commission, Kadre Desire Ouédraogo, outlined major achievements of the body for the past 12 months. Presenting his annual activities report for 2015, he extolled the Heads of State and Government for the Commission’s active involvement in ECOWAS’ achievements in the area of democracy and good governance. He named the holding of successful, transparent, credible and peaceful elections held in 2015 in Nigeria, Togo, Guinea, Cote d’Ivoire and Burkina Faso. “The Commission has also adhered to its avowed role whenever there has been a direct threat to peace and security in our region or results already obtained have risked being jeopardized”, he asserted. Commenting on other major activities, Mr. Ouédraogo averred that the Commission has carried out in part its efforts to fast-track regional integration, promoting economic prosperity through a reginal environment conducive to investment and entrepreneurship and establishing mutually-profitable relationships and partnership with other regions of Africa and the world over. He stated that with the approval and attention of the Heads of State and Government, the regional body has achieved new milestones in the move towards establishing the single currency for the region. On progress made for the Common External Tariff (CET), Mr. Ouédraogo revealed that the instrument had been effectively applied in eight out of the 15 Member States. Mr. Ouédraogo, reporting on the Community’s levy situation, stated that the Dr. Toga McIntosh mission, which was fielded to improve the level of remittance from Member States, proved fruitful: “And it is worth concluding that the entailing discussion will prevent us from revisiting our experiences of last remittances and other anomalies”. He then expressed the confidence that ECOWAS will successfully move towards its dream towards an ECOWAS of peoples. The summit continues Tuesday with the holding of the Mediation and Security Council at Ministerial level, to be followed on Wednesday, the 16th of December, by the 48th Ordinary Session of the Authority of ECOWAS Heads of State and Government. It ends on Thursday, the 17th of December with the 40th Anniversary of the Community.